HRL Laboratories, LLC, has received an award as part of NASA’s Space Technology Research, Development, Demonstration, and Infusion program to develop additive manufactured (3D-printed) ceramic rocket engine components. HRL achieved a scientific breakthrough with preceramic resins that can be 3D printed and converted to high-temperature ceramic that was first published in the journal Science on January 1, 2016. With NASA support, HRL researchers will further develop this new technology to additively manufacture reinforced ceramic rocket propulsion components. The HRL technique combines the ease, flexibility, and low cost of polymer additive manufacturing with the high-temperature capabilities of ceramics. This will enable new designs, lower costs and reduced lead time. HRL will subcontract with Vector, a micro satellite launch company that will investigate innovative rocket engine designs and assess performance improvements to its line of launch vehicles enabled by additive manufacturing. 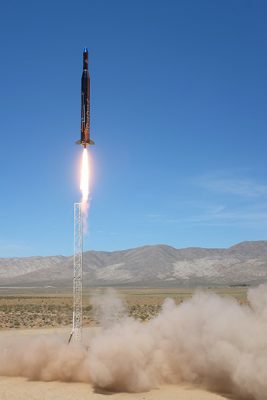 The two-year program will culminate with hot-fire ground testing of rocket engines that contain 3D-printed heat-resistant components at Vector’s facility.